PS: Top-level order made by over 10 years experienced master,guaranteeing top similarity,real 3D,top skin luster and top quality. Card games, board games, of video games, people like to play! If you and yoru friends like to play, this is a great way to create a keepsake to remember fun moments playing with friends! 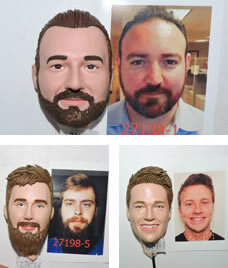 We can create a customized bobblehead figureine based on your photos! We sculpt our dolls to look like the photos you provide to us with great detail. All we require is a good front view to capture the look of the person you want to make for. 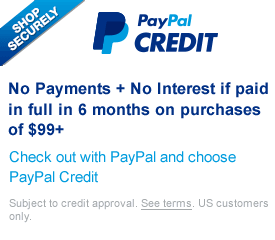 We proudly offer FREE approvals in the different stages during the creation of your hand sculpted bobblehead doll. Changes can be made like making the nose wider or lips thinner - this means a great deal when sculpting your doll to ensure satisfaction. During the process, we will send the head proofs and hair proofs, body proofs (if applies) to your email. Each step can be approved or modified, if a change is requested, we will amend the doll and provide a new proof - if it is approved we will bake that step and move towards another proof. After approvals are received, we bake and process your dolls, we can not go backwards. 1, Dolls can be shipped worldwide. 3, If you can not find your ideal model, you please choose " Head-to-toe custom " and design the doll completely by yourself. 4, The processes are totally different between the smiling face and non-smiling face, Be cautious choosing the photo. You can send your pictures now, or you can send them to info@likenessme.com after your order been placed. Add a motorcycle, a car, a boat, any frame you can imagine. Yes, I want Get An Identical Bobblehead For 50%~66% Off. Note: If you choose to copy one or more identical bobblehead,we will use the material called "poly resin clay" because the similarity of each one will be higher. If you are our old customers, please send us either your old order number or email address (old phone number and shipping address also will be fine) after you submitted the new order. 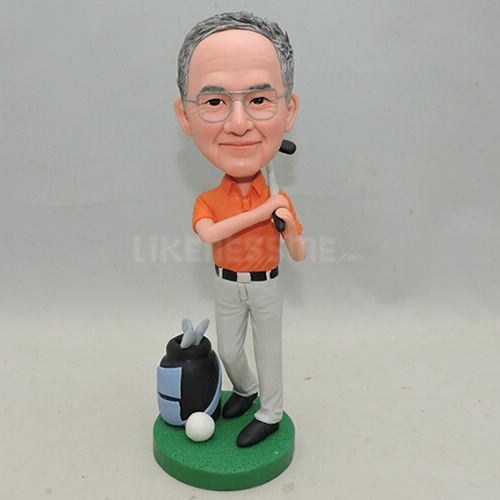 As we will arrange the original master to create your new bobble head. We believe that will make you be more satisfied with our products.